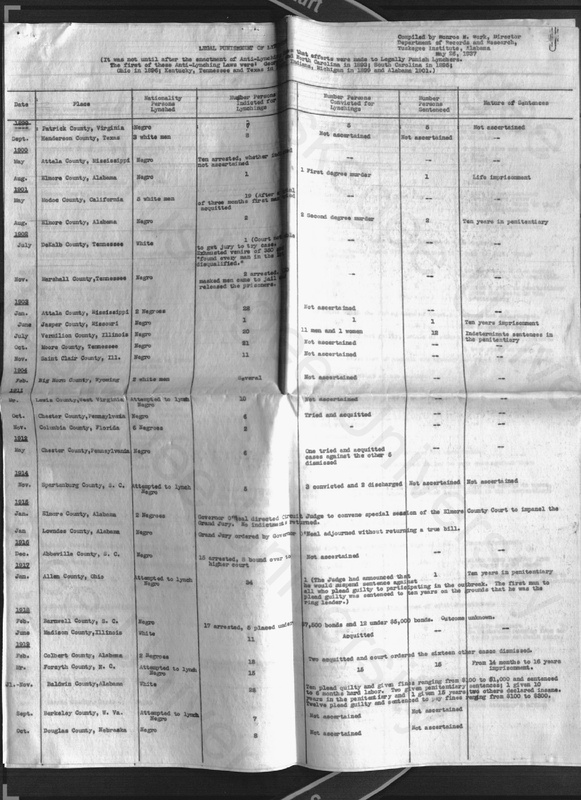 The following charts list attempts to prosecute lynchings. 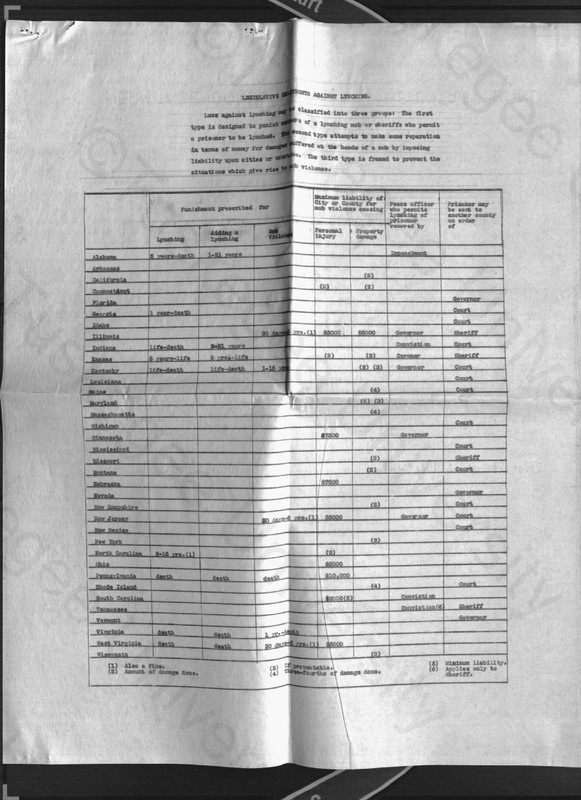 The last page is a chart listing the states that enacted anti-lynching legislation with details of each bill. 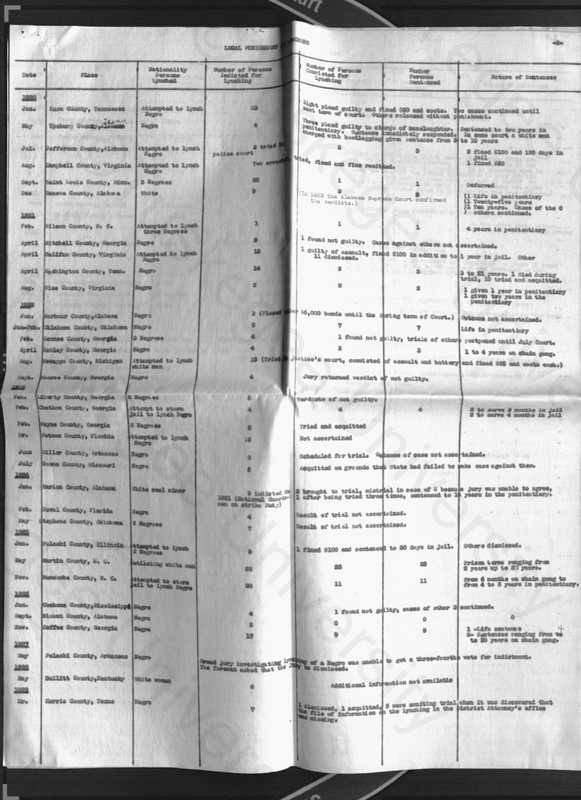 These charts were compiled by NAACP staff, and represent internal working documents connected to their national campaign against lynching and mob violence. Notice how few prosecutions there were over the years, compared to the total number of lynchings. 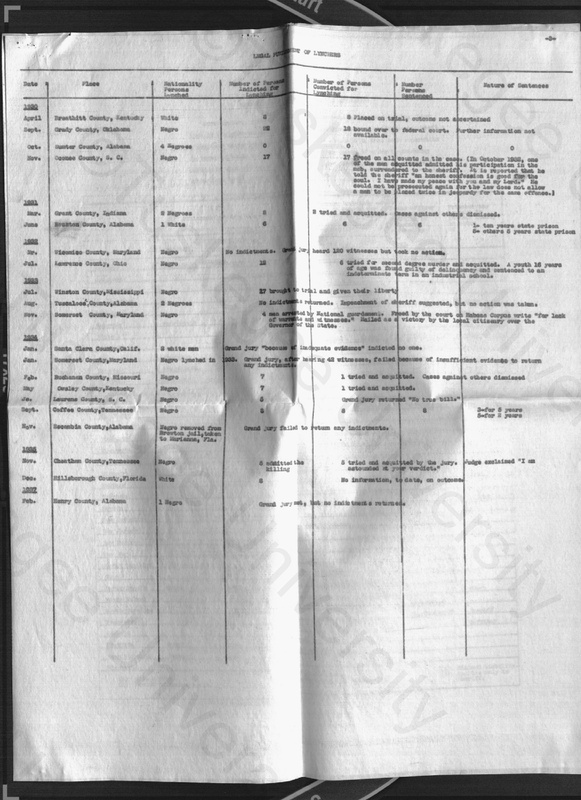 When available, additional documentation of individual cases can be found here (listed in chronological order).